Medical professionals no longer consider hearing loss to be simply the result of the aging process, which is why it’s vitally important for everyone over the age of 55 to have their hearing checked by a doctor of audiology as part of their wellness program. Dr. Mary Anne Larkin of Advanced Hearing Care, chosen by readers of Mount Pleasant Magazine as the best audiologist East of the Cooper, pointed out that hearing loss in many cases serves as an early warning sign of medical issues such as cardiovascular disease, dementia, diabetes or kidney disease. “We take time to listen to them and formulate a plan together to enrich the quality of their lives through better hearing,” she said. 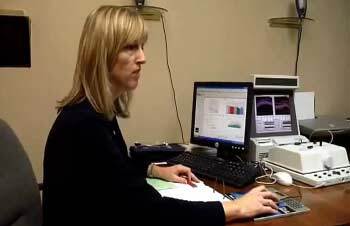 Dr. Larkin pointed out that your hearing starts to diminish when hair cells in the inner ear are damaged. The first sign that something is wrong might be that you have trouble picking up consonant sounds. Once the cells are damaged, they can’t be repaired. “You only have one pair of ears. It’s vital that you protect the hearing you have left,” she said. Dr. Larkin, an audiologist for 32 years, said her practice has been blessed by the Mount Pleasant community. “We’ve grown over the years, and we look forward to helping residents of the Lowcountry hear their best,” she commented. To find out more about Advanced Hearing Care and, if you are 55 or older, to schedule a free hearing screening, visit www.AdvHearing.com or call 843-606-6306.